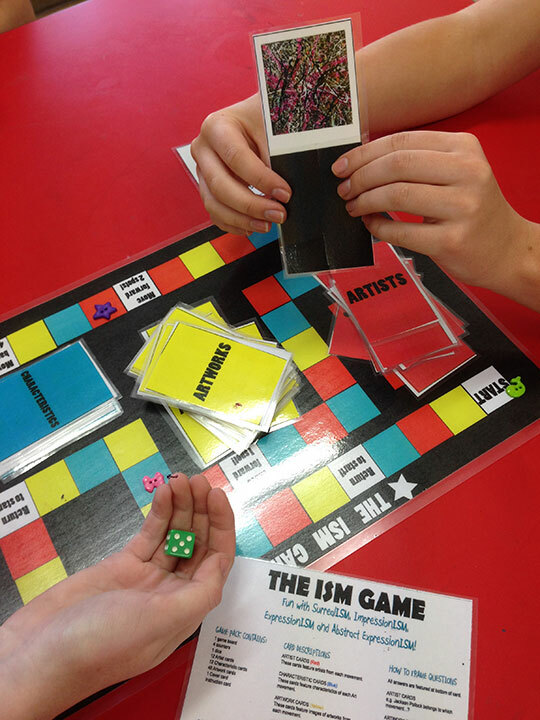 Art theory board game. How to make Art revision fun! It’s that time of year again – exams! There’s nothing more irritating than going to the effort of putting together a revision booklet for the class and having them ignore it totally only to talk about the upcoming holidays. 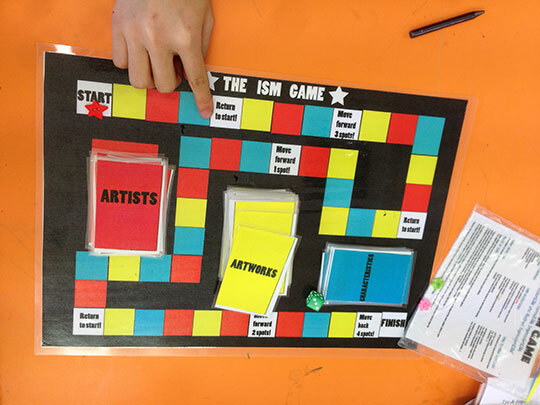 This time around I put together an Art Revision Board Game! 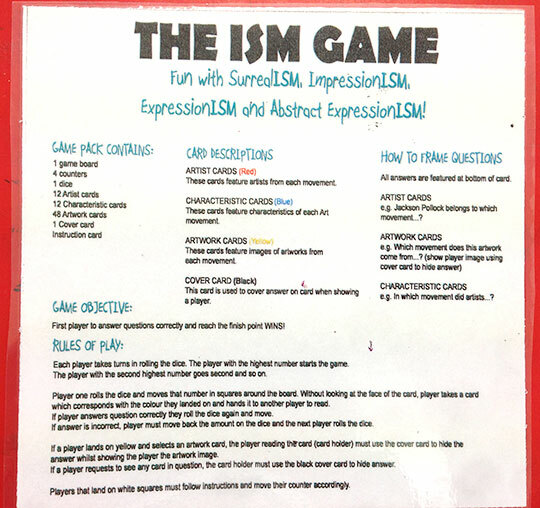 The ISM GAME! With the help my trusty school Art assistant, I made 7 full sets (one for each table in my art room). Was it worth it? YES! They played it over and over again! And they actually looked like they were having fun revising for an exam!! Who knew revision could be fun!? 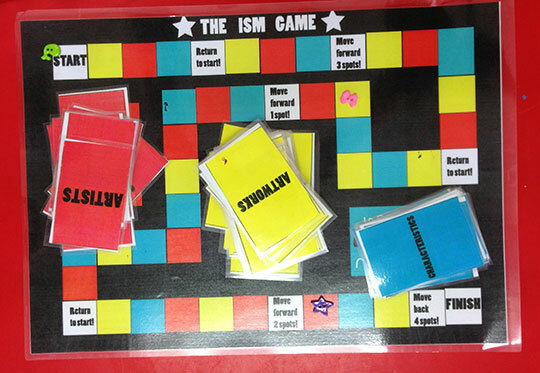 What did exam results say about the success of the game? The lowest mark in 2 classes (46 students) was 75%. Pretty happy with that. This is fantastic! Do you sell it at all? Hahah.. No I don’t sell it. But hey, there’s an idea!